This family, you guys. This session was a rare treat. Shooting in the direct (brutal, brutal) sun is challenging, both technically speaking and in terms of hot little Alaskan kids unused to this thing called "eighty degrees." (As a friend would say, our Alaska is showing.) The difference in the exposure between the sun and shadow is extreme, there's haze and sunflare (which I love, but in controlled amounts), and above all else, trying not to blind your clients. But as this session reminds me, it ALWAYS pays off. This session actually garnered one of the best compliments I've ever received from a session. Robin wrote to me that when she shared these images with her family, some of whom are far away, they told her it felt like they'd just spent a day at the park with her and the kids. That hits home in a big way, because believe it or not, preserving a slice of life is one of my main goals in any family session. 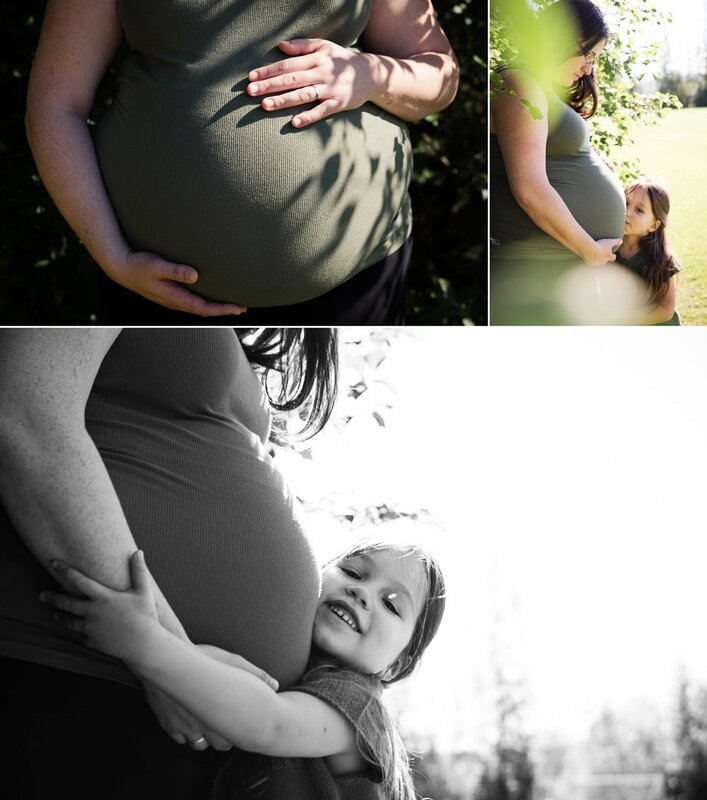 I want you to be able to be immediately transported back to that time whenever you revisit your images, to remember the feel of the details of your kids when they were that age, to remember how you felt when you were 35 weeks pregnant (for better or worse, lol! ), to remember what it was like to be a family of five about to be six. I can't even tell you how much it means to me that at least in this case, I pulled it off for one family. Make sure you check back soon to read the next installment of this family's story - the Birth of Lilly Mae!